Bacterial illnessessuch as tuberculosis, pneumonia, typhoid fever, meningitis, and dysenteryare some of the most devastating worldwide. Although antibiotics and vaccines control their prevalence to some extent, the emergence of new virulence mechanisms and new forms of resistance to antibacterial agents makes research in this field critical to understanding and controlling infectious diseases. 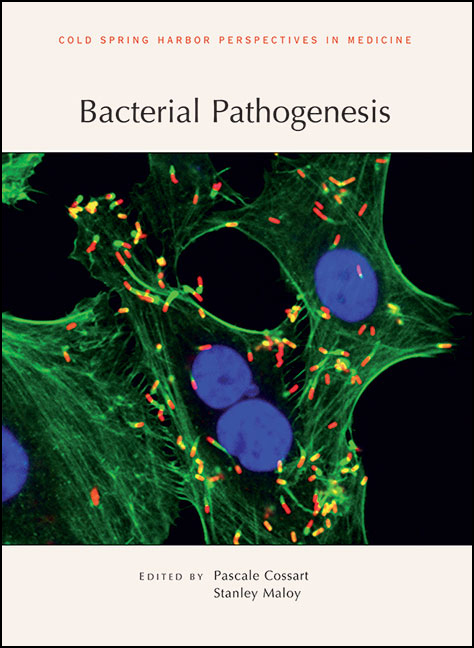 Written and edited by experts in the field, this collection from Cold Spring Harbor Perspectives in Medicine provides a comprehensive review of the biology of these pathogens, their virulence mechanisms, and the host's response to infection. The contributors survey the various toxins and effectors that are used to hijack the cellular machinery of the host, and they explain how their production is coordinated and controlled. The host specificity of bacterial pathogens and the genetic basis of susceptibility are also considered. Other chapters are devoted to the pathogenic mechanisms of specific bacterial species (e.g., Salmonella, Chlamydia, and Helicobacter pylori). The authors also describe novel vaccine strategies and antimicrobial approaches (e.g., phage therapy or biofilm disruption), as well as the use of probiotics to benefit human health. This volume is thus an essential reference for microbiologists, immunologists, and cell and molecular biologists, as well as clinicians and other public health professionals.